Ensembl 64 has been released! 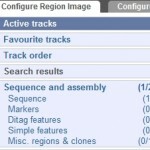 16th September 2011 by Rhoda Kinsella (Production)·Comments Off on Ensembl 64 has been released! We are delighted to announce the latest Ensembl release 64 (e!64). This release includes assemblies for two new species; lamprey (Petromyzon marinus) and Tasmanian devil (Sarcophilus harrisii) as well as a patch of the human assembly (GRCh37.p5) and an update of the cow assembly (UMD 3.1). We have incorporated the most recent human and mouse manual gene annotations from HAVANA, new regulation data for human and mouse, as well as many other interesting data updates and features. 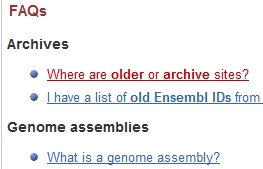 The previous Ensembl release is archived at e63.ensembl.org. Petromyzon_marinus_7.0 is an assembly of the sea lamprey (Petromyzon marinus) provided by the lamprey consortium which was sequenced to a total of 5.0X whole genome coverage. 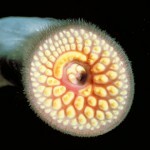 The gene set for lamprey was built using the Ensembl genebuild pipeline. New translated BLAT whole genome pairwise alignments against the zebrafish, the stickleback, Ciona intestinalis and the human genome are now available for lamprey. Protein trees now include genes from the lamprey (10,079 genes) and with the inclusion of the lamprey, 849 more trees have a root older than the last common ancestor of bony vertebrates. We now have new phenotype views where one can view genes associated with diseases and phenotypes. The new phenotype page can be accessed via the gene tab. Associated genes and variations to a phenotype can also be displayed on a karyotype. The associated colour key corresponds to the p-value of the association between the variation and the phenotype. In order to make turning on data tracks easier, a number of changes have been made to the configuration panel in the region in detail page (accessed via the “Configure this page” button), including a new menu structure with grouping for similar track types. Configuration for regulatory evidence is now accessible via two links in the Regulation section of the menu for the configuration panel – “Open chromatin & TFBS” and “Histones & polymerases”. 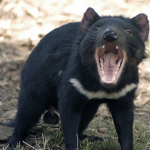 The Tasmanian devil (Sarcophilus harrisii) 7.0 assembly, provided by Illumina and the Wellcome Trust Sanger Institute, has been added as a new species to Ensembl for release 64. RNASeq data was used in the genebuild and can be found in the otherfeatures database. More detailed information on the genebuild can be found here. Check out our improved FAQ’s. These have been reorganized into categories. Confused about browser navigation? Why not try our new elearning course!